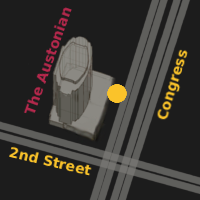 We are strategically situated in the heart of downtown Austin within the vibrant 2nd street district. Urban Wine + Liquor enthusiastically serves Austin’s downtown residents, businesses and tourists by seeking out local, unique and interesting products we are inspired to sell while providing insight to the distinctive tastes Austin has to offer. Urban’s aim is to offer the kind of knowledge and expertise you can’t find in the typical wine and liquor store. As an independent wine and liquor merchant, we provide an extensive array of unique wine and spirits as well as a rational amount of industry brand staples. We are passionate about the products we offer!